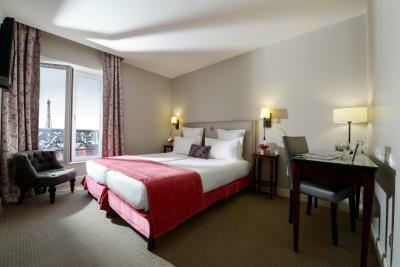 Lock in a great price for Hôtel Le Relais Saint Charles – rated 8.3 by recent guests! Location was really great,. The staff was friendly and spoke English. The breakfast was really good. The attached photo is from our room with a view of the Eiffel Tower. Hotel is nice.. near the metro station..staff are nice. The location was really good. Easy access to metro station and a lot of restaurants and supermarkets are nearby. Walking distance to Eiffel Tower. The staff was very friendly and informative! For me it was a plus that they spoke English because I don't know a lot of french. Can't wait to visit Paris again and stay there. Right next to the train stations and 9 block walk to the Eiffel Tower! Great location right opposite the metro station. Its also walking distance to the Eiffel Tower. There are a number of shops and restaurants in the area. Staff are friendly and helpful and they also offer a good breakfast. Facilities, services, space of room and toilet, free coffee, tea and water... Clean and nice staff.. Location, clean modern room, helpfulness of the staff. The location is very good, which very close to effiel tower and 5 min walk to metro and around many restaurants. Location was great! Very friendly front desk staff. Prompt and helpful communicating me. Front desk people were friendly and sincere. 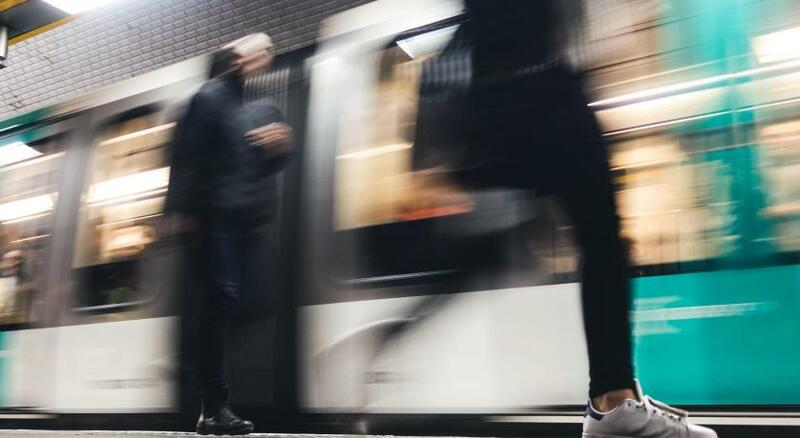 In the center of Paris, a 15-minute walk from the Eiffel Tower and Champ de Mars, this boutique hotel offers soundproofed and air-conditioned rooms with free Wi-Fi access. 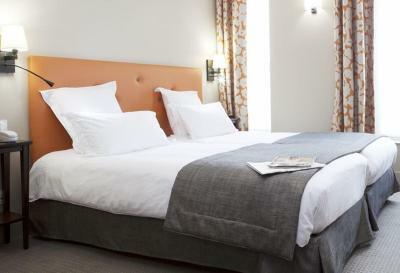 Each room at the Hôtel Le Relais Saint Charles has modern décor, a flat-screen TV with satellite channels, tea and coffee making facilities and a private bathroom. All rooms are accessible with an elevator. 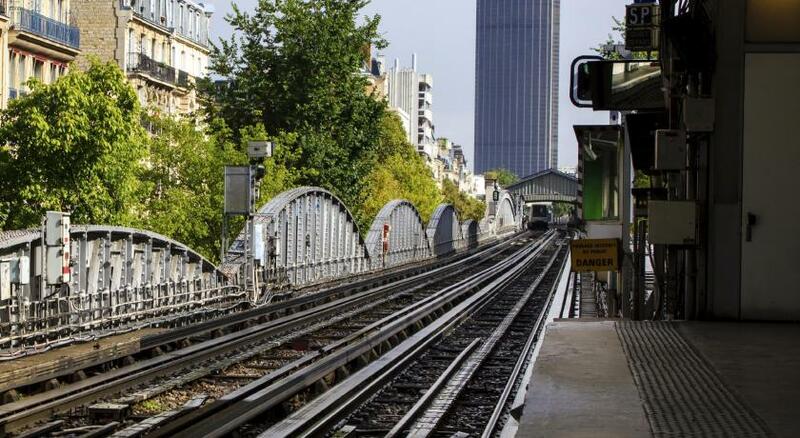 Dupleix Metro station is in the front of the hotel, which gives guests direct access to Montparnasse and the Arc de Triomphe. The Seine River is less than half a mile away, and Invalides is a 20-minute walk from the hotel. 15th arr. is a great choice for travelers interested in romance, tourist attractions and sightseeing. 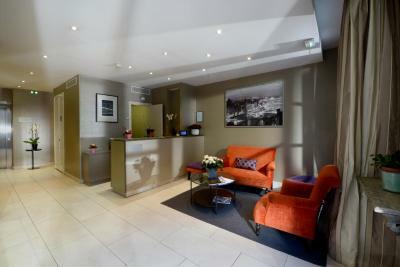 When would you like to stay at Hôtel Le Relais Saint Charles? Some rooms enjoy view of the Eiffel Tower. Hotel surroundings – This neighborhood is a great choice for travelers interested in romance, tourist attractions and sightseeing – Check location Great location - show map Guests loved walking around the neighborhood! House Rules Hôtel Le Relais Saint Charles takes special requests – add in the next step! Hôtel Le Relais Saint Charles accepts these cards and reserves the right to temporarily hold an amount prior to arrival. I would not recommend this hotel as a romantic gateway, I would go with friends or a family holiday. Even tho it was very clean and had a great location, I would have put balcony for every room, and I would have made bigger the rooms. I loved the hotel, the location, cleanliness, and the food as well. It was really easy to find, and nearby the underground and the Eiffel Tower. I loved the location, and the furniture, it was modern and super comfy at the same time. 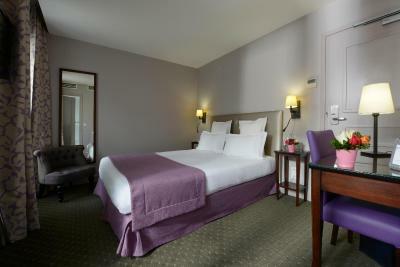 The location was very good, the cleanliness was about OK, the staff were helpful and the room was very small. I upgraded to an Eiffle Tower View room by asking if I could be at the top and the staff created this. I also requested a bottle of champagne and chocolates which they made happen too. The rooms were quite small and just felt old. I think we were expecting more, so I don’t want to fault the hotel on that. We had a wonderful stay. The staff was friendly and very prompt on our requests. The best thing about the hotel is it's location. Very near to Eiffel tower and other prime locations too. 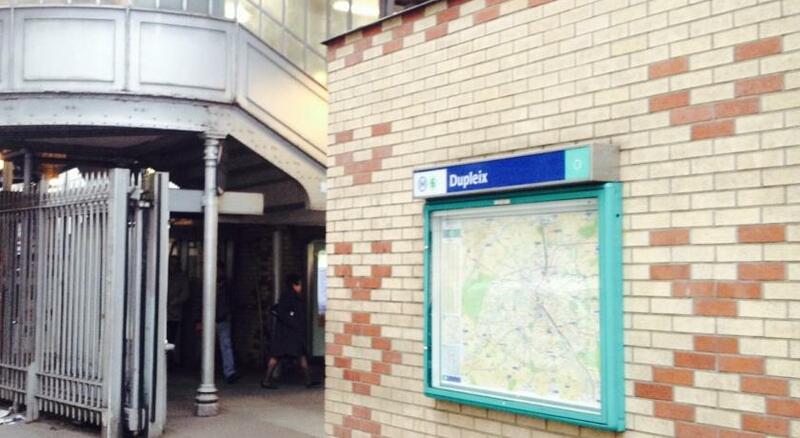 The Dupleix metro station is just on the other side of the street. You feel being in the heart of the Paris ❤️ Would like to come back again. Heating system. Room was cold. It was very normal nothing special really. Loved the stay the staff were lovely. There was a really nice guy working who told us what pubs to go to and the overall stay was just perfect. You can see the Eiffel tower but the location was not worth the money as the room is really small and there is not alot of space. The staff was absolutely amazing... fluent English and really friendly and helpfull. More choice. Breakfast needed to be less bread, more scrambled eggs and mushrooms...too much desserts and sweets, and first thing in the morning, too much for my palette! Great though. Thank you. Cosy and comfortable. Perhaps some nice background music would be advantageous. The housekeeping dont maintain the cleanliness of the room. Definitely not worth the extra money for the Eiffel Tower view. Very small rooms. Pictures are a bit deceiving. Neighborhood does not feel safe. Definitely feel this hotel is overpriced. Comfy beds. Right outside metro station. Staff are so pleasant and nice.